South Charleston Pediatrics is excited to welcome Child Clinical Psychologist, S. Elizabeth Hicks, MA, as part of our team. 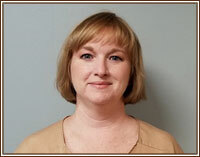 Ms. Hicks provides positive behavior support and parent education, as well as cognitive-behavioral therapy services. In addition, Ms. Hicks provides psychological education and consultation for parents of children with Autism Spectrum disorder, as well as therapy if those patients have a coexisting mood, trauma, adjustment or anxiety disorder.